Below is my opinion and not a “chicken and an egg analysis”. I don’t care about the controversy between those two companies because better PR should have been done by VB and Baili. 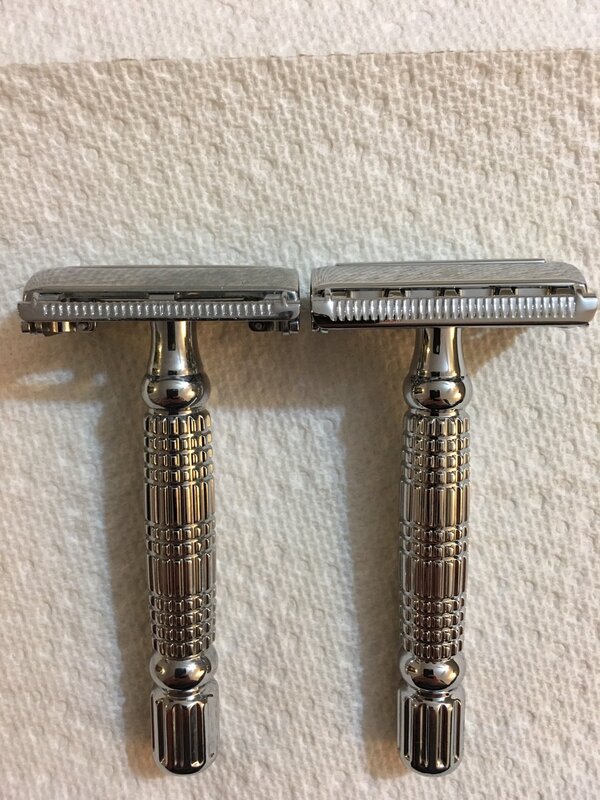 I am here only to compare the two as they are really not the same razor except for the handle being identical. Here are my chieftain and baili. The handles are identical but that’s where the similarities stop. The chieftain is on the right and the Baili on the left. The head profile of the chieftain is not the same as baili. The base plates are different and the comb guard on the chieftain is a different design and much bigger. The chieftain has 4 smaller Lather channels and the Baili has two large ones. The chieftain is 20 grams heavier and feels sturdy and shaved much better. So for me, Baili seems to have copied the chieftain. 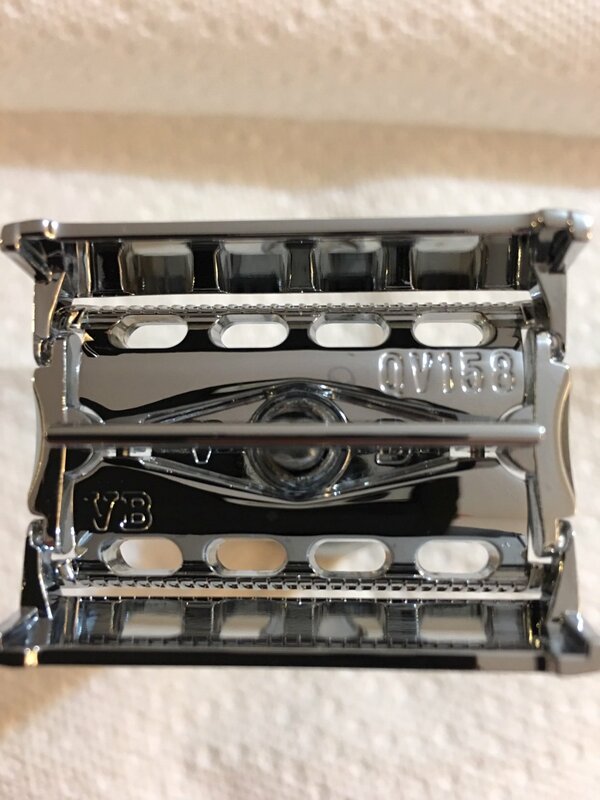 You have to ask yourself if it was an original Baili razor design, then it would have been much easier for VB to use the exact same design and rebrand it like most resellers do. The Baili is a cheaper striped down OEM razor, you can see Maggard’s review of it in YouTube. The chieftain is a better shave for me. It’s heavier and built better. That’s my two cents worth of information. Until a better design comes out in the non adjustable TTO, VB has the better design and quality IMO For a modern TTO. Mind you the vintage Gillette’s TTO will give you a better shave but my analysis was for a modern TTO. (02-08-2019, 06:47 PM)gLet Wrote: Below is my opinion and not a chicken and an egg analysis. I don’t care about the controversy between those two companies because better PR should have been done by VB and Baili. I am here only to compare the two as they are really not the same razor except for the handle being identical. So for me, Baili seems to copy the chieftain. You have to ask yourself if it was an original Baili razor it would have been easier for VB to use the exact same design. The Baili seems like a cheaper striped down OEM razor. The chieftain is a way better shave for me. It’s heavier and built better. Excellent post, gLet! Whatever went on in the past, your post shows the current state of things. That settles the matter once and for all - the Vikings Blade Chieftain is different from the Baili BD179. If anyone says otherwise, all that is needed is to post a link to this thread. Vullion, you folks paying attention? This is how it should have been handled. 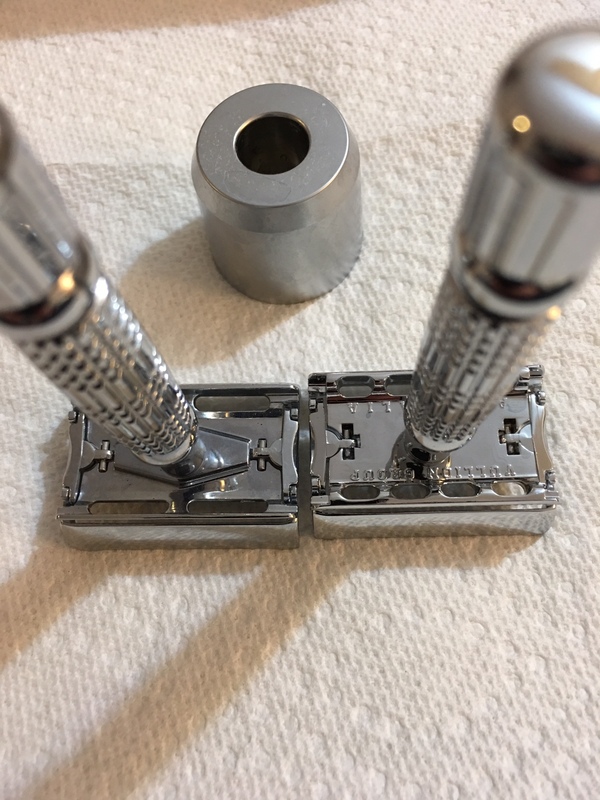 As odd as it may sound, I find reviews of cheap Third World razors far more interesting than artisan "boutique" razors as the makers in the Third World don't have carte blanche "kickstarter" budgets and as such requires them to be more resourceful (sometimes). It's surely hit 'n miss, but when you get a winner it makes it all worthwhile. I sometimes shave with a $5.99 Baili BR171 3 piece razor and it works great. 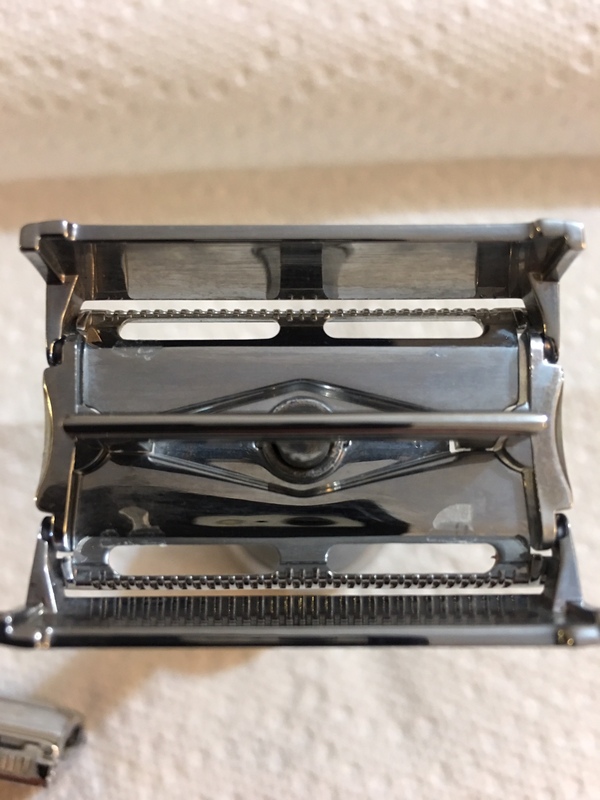 (02-09-2019, 03:45 AM)BPman Wrote: As odd as it may sound, I find reviews of cheap Third World razors far more interesting than artisan "boutique" razors as the makers in the Third World don't have carte blanche "kickstarter" budgets and as such requires them to be more resourceful (sometimes). It's surely hit 'n miss, but when you get a winner it makes it all worthwhile. I sometimes shave with a $5.99 Baili BR171 3 piece razor and it works great. 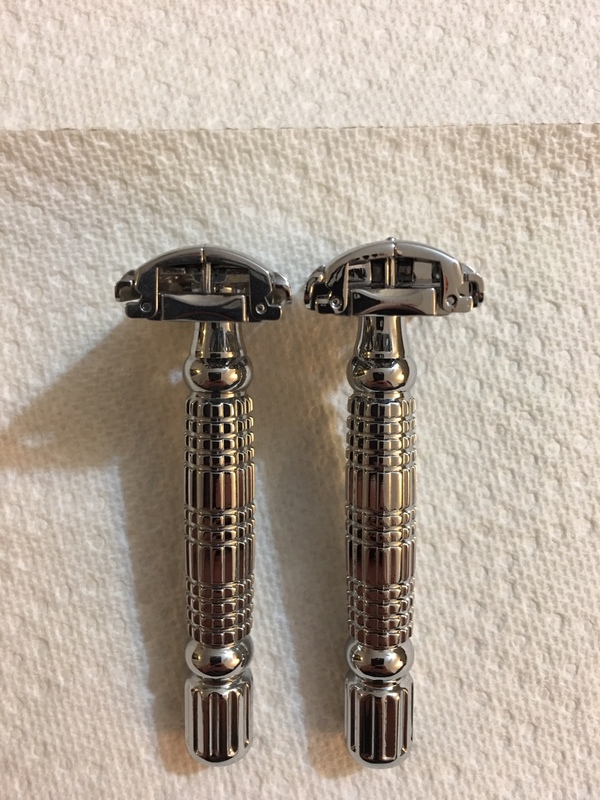 Some of the boutique razors are a hit or a miss as well, but boy do you feel it in bank when it’s a miss. This is Tristan, product designer of Vullion Group (Vikings Blade). Thank you for clearing this up for us. I just wrote a post on another thread to acknowledge our shortcomings in terms of PR and Marketing. Yes, it's been very horrible. And it will need to be improved immediately. From today onward, please don't hesitate to PM me or ask me anything. I will be Vikings Blade's point of contact on this forum. I am not a hired Customer Service person but a family member that designs many of our products. We are very obsessed with your feedback and most of our products are results of constant communication with customers via email. We truly owe this to you guys. Hi Tristan and welcome to the forum! All the folks here are super awesome! Thanks for your response and reaching out to the wet shaving community. It’s great that you are taking steps to improve your processes. This is so cool! We are all passionate about shaving and it’s encouraging when razor artisans/manufacturers/designers etc...participate and reach out to the community. It’s positive and constructive.